Bengaluru has 11,000 acres of designated forest land on record, but the draft master plan released recently doesn’t show even a part of this, said Dipika Bajpai, Indian Forest Service officer, who is a Deputy Conservator of Forests (DCF) in charge of Bengaluru. She said her department has compiled a list of objections to the master plan to dispute the non-inclusion of forest area. 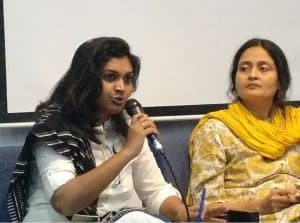 Dipika was talking in a discussion organised by Vidhi Centre for Legal Policy and Citizen Matters, in collaboration with Bangalore International Centre on July 14, 2018. Vidhi Centre and Citizen Matters have joined hands to publish a series of articles on Bengaluru’s urban issues and organise a panel discussion on the theme of the articles. The first article explores policy and regulatory solutions for securing Bengaluru’s greenery. Shashank Atreya, Research Fellow at the Vidhi Centre for Legal Policy, Bengaluru made a presentation on the journey of Bengaluru’s greenery. The presentation traced the history of the city’s greening activities from Kempe Gowda’s time to the present day initiatives. It also identified the key reasons behind the decrease of Bengaluru’s vegetation by close to 60%, such as change of land use, infrastructure development to support the growing population in the city and myopic vision in planning. The presentation set the context for a discussion where concerns and solutions were set to be debated. The panelists for the discussion on ‘Protecting Bengaluru’s greenery-finding solutions for a livable Bengaluru’ included Dipika Bajpai, Shubhendhu Sharma, Director at Afforest and Ashwin Mahesh, Urban affairs expert. The event was moderated by Meera K, Editor at Citizen Matters. 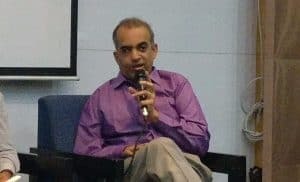 The discussion began with Meera, quoting S G Neginhal, the popular IFS officer known for planting 10,000 trees in Bengaluru decades ago, who in an interview with Citizen Matters said, “You cannot substitute living. You need to breathe. That won’t change. Stop reducing open spaces during the planning of new city layouts or you will end with a very unhealthy and sick generation. But if the government is not doing it, the citizens need to do it”. Dipika Bajpai spoke of the measures taken by the government and the limitations government officials face while undertaking greening measures. She spoke of the need to coordinate activities between the Forest Department and the Bruhat Bengaluru Mahanagara Palike (BBMP), to avoid decisions of BBMP which are not in line with the Forest Department’s vision and objective. She was of the firm opinion that citizen activism would be the key to witness change, to address greening concerns in Bengaluru. Shubhendu, the Director of Afforest, spoke of his work and the challenges of private sector participation in government greening activities, with funding being the primary one. Ashwin Mahesh, urbanist, spoke of the need to have better governance at the municipal level and empowering the ward committees. He also emphasised on the need to review the metropolitan planning committee which is a constitutionally mandated body. The discussion was free flowing with the the audience participating in an open conversation, providing interesting insights on different efforts to revive Bengaluru’s greenery. This event on Bengaluru’s greenery is the first installment of the Bengaluru Solution Series organised in collaboration with Vidhi Centre for Legal Policy and Citizen Matters. Watch out for the next article and event as part of this series. With at least five apartment management software providers in Bengaluru, read this detailed analysis with information on features provided by each of them. 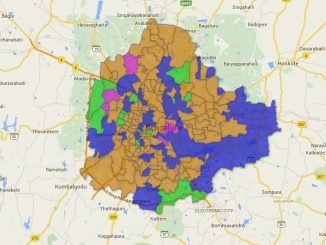 Is Bengaluru an apathetic city? Be it an anti-corruption rally or questioning the un-kept promises made by politicians on a routine basis, no one seems to participate in it. Lack of time seems to be the excuse.